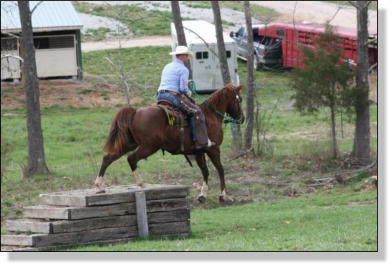 Individual training with you and your horse for $40 per session. We will work on whatever you need. i.e. obstacles, lead changes, or any specific problems you are having. I offer Training for $750 per month. We feed Total Equine. This awesome feed is also available for sale here at the ranch! 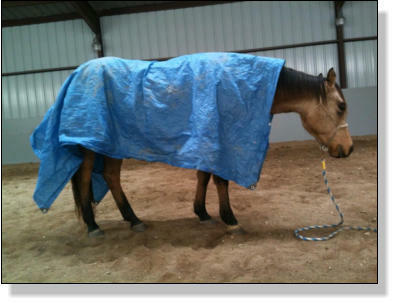 As you can see from the pictures your horse will be exposed to many, many things. 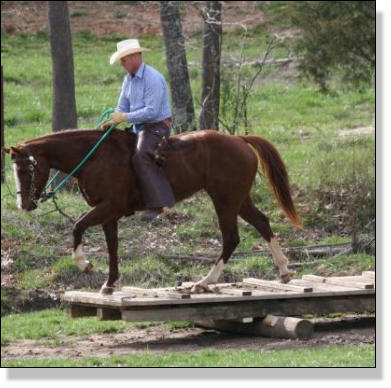 I use horses everyday to move my cows and contract cows through rotational grazing paddocks. We have many nice trails with "spooky" deer and other critters. 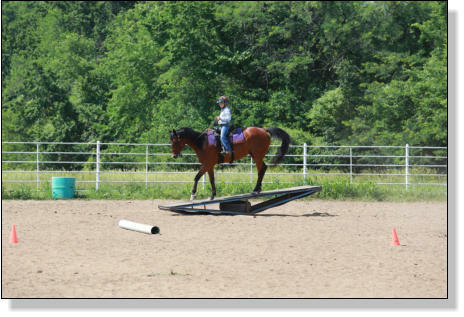 Your horse will be exposed to many obstacles and challenges. I believe a horse needs to be in a willing frame of mind, soft, and be able to yield his hind quarters and fore quarters along with side passing before they are even slightly considered "broke". 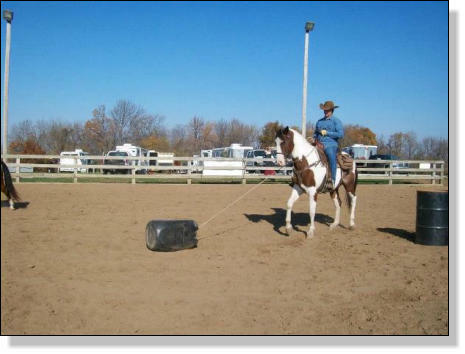 I use natural horsemanship methods. I ask the horse for the results I want, then show him the way. 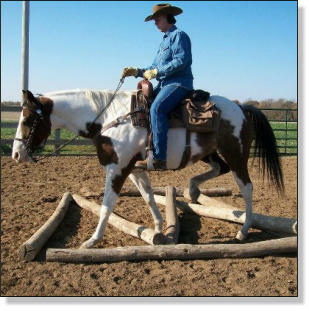 I guarantee working with your horse 30 hours per month.